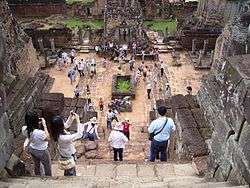 Tourists taking pictures at the khmer Pre Rup temple ruins, an example of cultural tourism. Tourists in the courtyard of the Great Mosque of Kairouan (also called the Mosque of Uqba). Considered one of the most important and most prestigious monuments of Islamic civilization, the Great Mosque of Kairouan is located in the World Heritage city of Kairouan in Tunisia. Cultural Tourism (or culture tourism) is the subset of tourism concerned with a country or region's culture, specifically the lifestyle of the people in those geographical areas, the history of those people, their art, architecture, religion(s), and other elements that helped shape their way of life. Cultural tourism includes tourism in urban areas, particularly historic or large cities and their cultural facilities such as museums and theatres. It can also include tourism in rural areas showcasing the traditions of indigenous cultural communities (i.e. festivals, rituals), and their values and lifestyle, as well as niches like industrial tourism and creative tourism. It is generally agreed that cultural tourists spend substantially more than standard tourists do. This form of tourism is also becoming generally more popular throughout the world, and a recent OECD report has highlighted the role that cultural tourism can play in regional development in different world regions. Cultural tourism has been defined as 'the movement of persons to cultural attractions away from their normal place of residence, with the intention to gather new information and experiences to satisfy their cultural needs'. These cultural needs can include the solidification of one's own cultural identity, by observing the exotic "other". Cultural tourism has a long history, and with its roots in the Grand Tour is arguably the original form of tourism. It is also one of the forms of tourism that most policy makers seem to be betting on for the future. The World Tourism Organisation, for example, asserted that cultural tourism accounted for 37% of global tourism, and forecast that it would grow at a rate of 15% per year. Such figures are often quoted in studies of the cultural tourism market (e.g. Bywater, 1993), but are rarely backed up with empirical research. A recent study of the cultural consumption habits of Europeans (European Commission 2002) indicated that people visited museums and galleries abroad almost as frequently as they did at home. This underlines the growing importance of cultural tourism as a source of cultural consumption. The generalisation of cultural consumption on holiday, however, points to one of the main problems of defining cultural tourism. What is the difference between cultural visits on holiday (cultural tourism) and cultural visits undertaken during leisure time at home? Much of the research undertaken by the Association for Leisure and Tourism Education (ATLAS) on the international cultural tourism market (Richards 1996; 2001) has in fact underlined the high degree of continuity between consumption of culture at home and on holiday. One type of cultural tourism destination is living cultural areas. Visiting any culture other than one's own such as traveling to a foreign country. Other destinations include historical sites, modern urban districts, "ethnic pockets" of town, fairs/festivals, theme parks, and natural ecosystems. It has been shown that cultural attractions and events are particularly strong magnets for tourism. The term cultural tourism is used for journeys that include visits to cultural resources, regardless of whether it is tangible or intangible cultural resources, and regardless of the primary motivation. In order to understand properly the concept of cultural tourism, it is necessary to know the definitions of a number terms such as, for example, culture, tourism, cultural economy, cultural and tourism potentials, cultural and tourist offer, and others. As the issue of globalization takes place in this modern time, the challenge of preserving the few remaining cultural community around the world is becoming hard. In a tribal based community, reaching economic advancement with minimal negative impacts is an essential objective to any destination planner. Since they are using the culture of the region as the main attraction, sustainable destination development of the area is vital for them to prevent the negative impacts (i.e. destroying the authentic identity of the tribal community) due to tourism. Certainly, the principle of "one size fits all” doesn't apply to destination planning. The needs, expectations, and anticipated benefits from tourism vary greatly from one destination to another. This is clearly exemplified as local communities living in regions with tourism potential (destinations) develop a vision for what kind of tourism they want to facilitate, depending on issues and concerns they want to be settled or satisfied. It is important that the destination planner take into account the diverse definition of culture as the term is subjective. Satisfying tourists' interests such as landscapes, seascapes, art, nature, traditions, ways of life and other products associated to them -which may be categorized cultural in the broadest sense of the word, is a prime consideration as it marks the initial phase of the development of a cultural destination. The quality of service and destination, which doesn't solely depend on the cultural heritage but more importantly to the cultural environment, can further be developed by setting controls and policies which shall govern the community and its stakeholders. It is therefore safe to say that the planner should be on the ball with the varying meaning of culture itself as this fuels the formulation of development policies that shall entail efficient planning and monitored growth (e.g. strict policy on the protection and preservation of the community). While satisfying tourists' interests and demands may be a top priority, it is also imperative to ruminate the subsystems of the destination's (residents). Development pressures should be anticipated and set to their minimum level so as to conserve the area's resources and prevent a saturation of the destination as to not abuse the product and the residents correspondingly. The plan should incorporate the locals to its gain by training and employing them and in the process encourage them to participate to the travel business. Travellers should be not only aware about the destination but also concern on how to help it sustain its character while broadening their travelling experience. International Tourism changes the world. The Centre for Tourism and Cultural Change (CTCC) is leading internationally in approaching Tourism for critical research relating to the relationships between tourism, tourists and culture. Participating structures are primarily led by the government’s local authorities and the official tourism board or council, with the involvement of various NGOs, community and indigenous representatives, development organizations, and the academe of other countries. 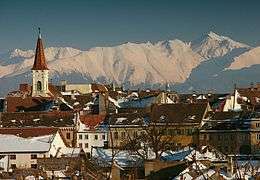 Tourism is coming to the previously isolated but spectacular mountainous regions of Central Asia, the Hindu Kush and the Himalayas. Closed for so many years to visitors from abroad, it now attracts a growing number of foreign tourists by its unique culture and splendid natural beauty. However, while this influx of tourists is bringing economic opportunities and employment to local populations, helping to promote these little-known regions of the world, it has also brought challenges along with it: to ensure that it is well-managed and that its benefits are shared by all. As a response to this concern, the Norwegian Government, as well as the UNESCO, organized an interdisciplinary project called the Development of Cultural and Ecotourism in the Mountainous Regions of Central Asia and the Himalayas project. It aims to establish links and promote cooperation between local communities, national and international NGOs, and tour agencies in order to heighten the role of the local community and involve them fully in the employment opportunities and income-generating activities that tourism can bring. Project activities include training local tour guides, producing high-quality craft items and promoting home-stays and bed-and-breakfast type accommodation. As of now, the project is drawing on the expertise of international NGOs and tourism professionals in the seven participating countries, making a practical and positive contribution to alleviating poverty by helping local communities to draw the maximum benefit from their region’s tourism potential, while protecting the environmental and cultural heritage of the region concerned. ↑ Borowiecki, K.J. and C. Castiglione (2014). Cultural participation and tourism flows: An empirical investigation of Italian provinces. Tourism Economics, 20(2): 241-62. ↑ Demonja, Damir. "Cultural Tourism in Croatia after the Implementation of the Strategy of Development of Cultural Tourism" (PDF). Juan José Prieto Gutierrez, External cultural tourism in Spain 2013. Wikivoyage has a travel guide for Cultural attractions.